Michael Arnowitt is one of the most creative and imaginative musicians of today. He is best known for his beautiful and sensitive touch at the keyboard, for the clarity and elegance of his musical ideas, for his abilities to find new articulations and colors from the piano, for his innovative and thought-provoking concert programs, and for his natural and warm on-stage manner with audiences of all ages. His life and music is the subject of a documentary film, Beyond 88 Keys (2004). The documentary, filmed in both the United States and Europe, contains footage of concert performances, educational talks, and interviews. The film has been broadcast on public television in various states and has been shown at film festivals and venues including the Rode Pomp, an arts center in Gent, Belgium and the Anthology, a theater in New York City’s East Village. Michael Arnowitt has toured Europe on seven different occasions, performing in France, Belgium, Germany, Holland, Hungary, the Czech Republic, and Russia. His most recent European tour featured 12 performances with his ImproVisions Jazz Quartet in addition to classical solo piano concerts. In June 2015 he went to Korea, where he gave 10 performances in Seoul, Busan, and other cities. He plans to return to eastern Asia for a multi-country, extended two month tour in September and October of 2016. 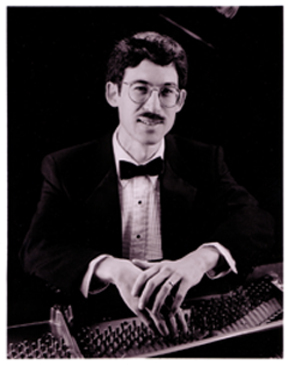 Michael Arnowitt has performed twice as piano soloist with the Boston Symphony Orchestra, playing piano concertos of Bach and Beethoven; he has also appeared as soloist with the Kiev Chamber Orchestra under Roman Kofman, the Savannah Symphony Orchestra, and others. He has performed in concert with the Ying Quartet, and has toured Canada and the United States giving duo performances with Beverley Johnston of Toronto, one of the world’s leading classical percussionists. He recently marked his 50th birthday with a well-received gala concert for piano and orchestra with music by Bach, Brahms, and the premiere of his new composition Haiku Textures for three cello soloists and orchestra. Past concert programs by Michael Arnowitt have included performances of Charles Ives’ Concord Sonata with excerpts from the literature of Emerson, Hawthorne, Alcott, and Thoreau read aloud prior to the part of the sonata which is the author’s musical portrait, and “1911,” a fascinating program offering seven contrasting compositions by Bartok, Rachmaninoff, Ives, Ravel, Scriabin, Schoenberg, and Stravinsky all written in the one year 1911, a remarkable crossroads time between the old and the new in both music and world history. Other creative projects have included “If Music Be the Food of Love,” a performance of classical and jazz music about food with the simultaneous serving to the audience of the food tastes that inspired the composers, and special events where he combines his piano improvisations with the live creation of paintings on stage by visual artists. He also performs with the photographer Marjorie Ryerson in a multi-media program “Water Music,” where piano music about water is combined with the projection of water photographs and spoken readings on the subject of water written by leading musicians of today. His recent musical activities have included performances of his “Jazz Suite from West Side Story,” a set of nine jazz arrangements he has made based on music from Leonard Bernstein’s famous musical. He is currently working on a classical composition, “Dark Matters,” for a physics conference on cosmology, and a new piece for jazz quartet and gamelan orchestra to be performed in both the United States and Indonesia. Michael Arnowitt has five solo piano recordings to date. The London-based Penguin Guide to Compact Discs gave his recording “Constellation” its highest possible rating, calling it a “tour de force of brilliant pianism; splendidly lucid and responsive performances ... full of colour and atmosphere and rhythmically riveting.” The documentary film about Michael Arnowitt, Beyond 88 Keys, has been released on DVD and contains performance excerpts of music by Bach, Mozart, Byrd, Schumann, Brahms, Schoenberg, and Ligeti. Michael Arnowitt’s future recording plans include a two disc set of four late Beethoven piano sonatas, and a recording combining the piano music of Erik Satie with narrated A.A. Milne Winnie-the-Pooh stories. Michael Arnowitt is also an active jazz pianist. His recording Classical/Jazz, on the Musical Heritage Society label, was a unique program of jazz-influenced classical music and classically-influenced jazz, exploring the mutual influence of the two fields of music throughout the 20th century. The disc won praise from both the classical and jazz communities, including L.A. Jazz Scene. Arnowitt was the music director of “Ella Fitzgerald Night,” a concert for a 23-piece jazz ensemble featuring transcriptions he made of arrangements used by Ella on historic big band and combo recordings from 1939 to 1964. He has also presented concerts profiling jazz musicians such as Art Blakey, Bill Evans, and Horace Silver. His largest jazz effort was “The Five Chinese Elements,” an original full-concert length suite for trio based on the elements of earth, water, wood, metal, and fire, and their ancient Chinese associations. He has performed jazz at the famed Reduta Jazz Club as part of the 29th Prague International Jazz Festival, at the St. Petersburg JFC Jazz Club in Russia, at the Seoul Concert House, and in New York City at Hunter College. He is planning to release in 2016 a recording of his own original jazz compositions. Michael Arnowitt’s accomplishments include his role as artistic director of the Vermont Millennium Music Festival. This festival took place over a four-day span in September 2000, and featured 24 concerts and special events presenting in chronological order music from the year 1000 to the year 2000. This novel festival attracted visitors from throughout the United States and was an extraordinary chronicle of the music and culture of the past thousand years. Michael Arnowitt was also the principal organizer in April 1999 of a benefit concert that raised $10,000 for humanitarian aid for Balkan war refugees; in addition to the monetary funds, the concert collected 300 emergency first aid kits and needed clothing for the refugee camps. Michael Arnowitt’s concerts are more than just concerts. They have the added dimension of his innovative program concepts and his talent for spoken commentary, illuminating the music by drawing interesting connections between the various works on the program. He enjoys researching the social, political, religious, and artistic contexts of a piece of music and sharing with the audience insights and anecdotes that reveal relationships between the compositions and the world around them in which they were created. Michael Arnowitt was born in Boston, Massachusetts and has lived in Montpelier, Vermont since 1983. Starting in 1997, he has maintained a web-site at http://www.mapiano.com/ which contains a number of his essays on musical topics. He can be found on Twitter at Piano_MA. As a teenager, Michael Arnowitt was active as a composer in addition to performing on the piano. At age 16, he was a winner in the BMI International Awards to Student Composers, and at age 13 he performed piano at the 1976 World Music Days festival of the International Society for Contemporary Music (ISCM). His musical skills led to his being selected as a Presidential Scholar in the Arts in a White House ceremony; he performed his own compositions as part of a performance at the Kennedy Center. He has studied composition with faculty at the Juilliard School of Music, the New England Conservatory of Music, the Fontainebleau School in France, Indiana University, Yale, and the Aspen Music School. 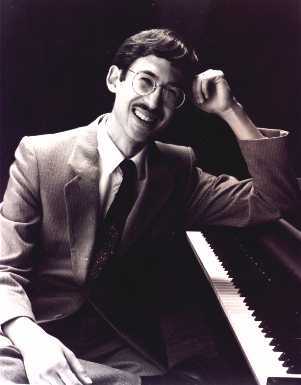 As an adult, he has continued his deep interest in contemporary music, performing many major piano compositions of recent decades such as Milton Babbitt’s Reflections for piano and tape, selections from Gyorgy Ligeti’s Etudes for piano books I and II, Frederic Rzewski’s Four North American Ballads, Clarence Barlow’s “...or a cherish’d bard,” Dennis Bathory-Kitsz’s Rough Edges, and Larry Polansky’s variation set Suite from Lonesome Road. Michael Arnowitt has appeared at festivals and concert series devoted to contemporary music in the northeastern United States, and has performed piano solo new music programs in Belgium and Holland. Together with the percussionist Beverley Johnston, he developed a duo program of music by composers from around the world, which they have performed in Canada and the United States.